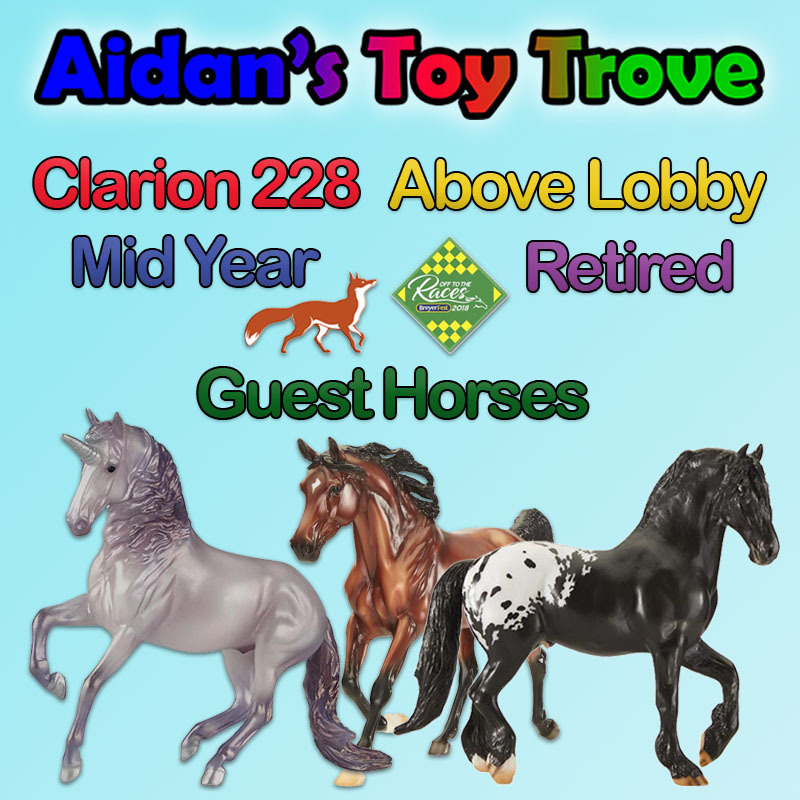 We will be selling out of room at BreyerFest 2018 starting Wednesday evening. 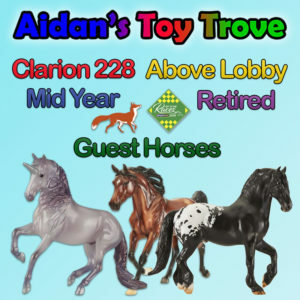 We are in Clarion Room 228 which as above the front lobby and to the left. 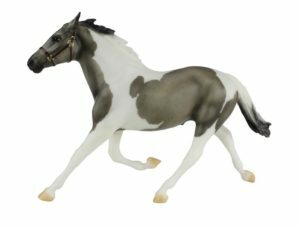 We are bringing the Breyer 2018 Mid Year Releases, the BreyerFest Guest Horses (which you can have signed at BreyerFest! 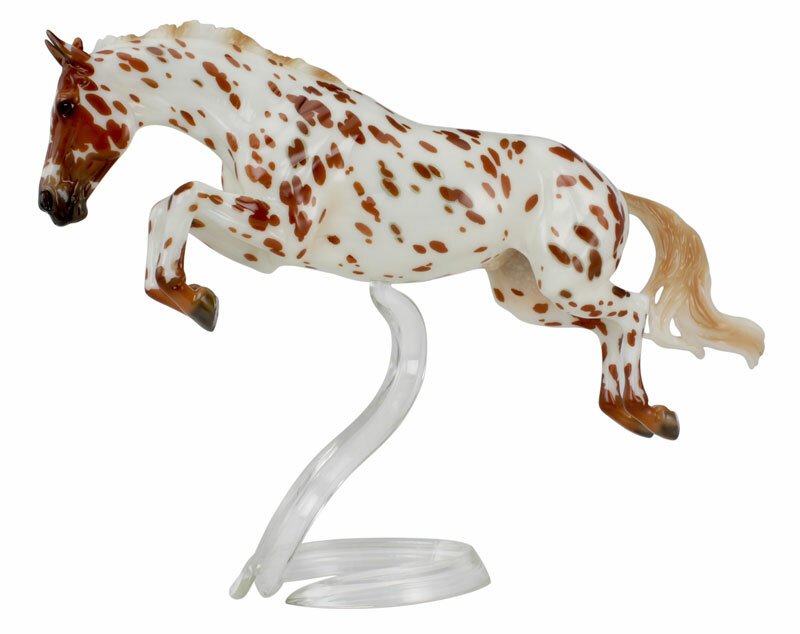 ), Copperfox First and Second Quality Horses, Retired Breyers and a fun assortment of toys including adorable Japanese Puzzle Animal Erasers and SQUISHIES! 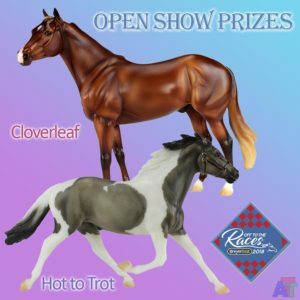 If you are attending BreyerFest, please stop by and see us! 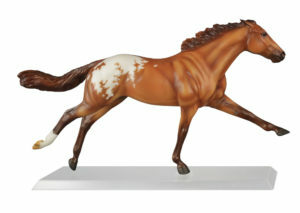 We hope to have a BreyerFest Winner’s Circle Autograph Horse out for everyone to sign starting on Friday evening. 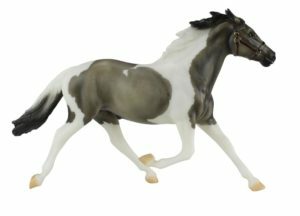 Breyer reposted the pictures of two of the BreyerFest 2018 Raffle models. 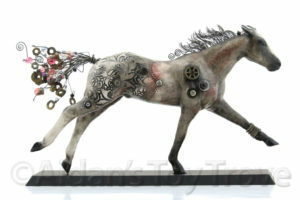 Only 25 of each will be raffled off with 1 additional made for the auction. 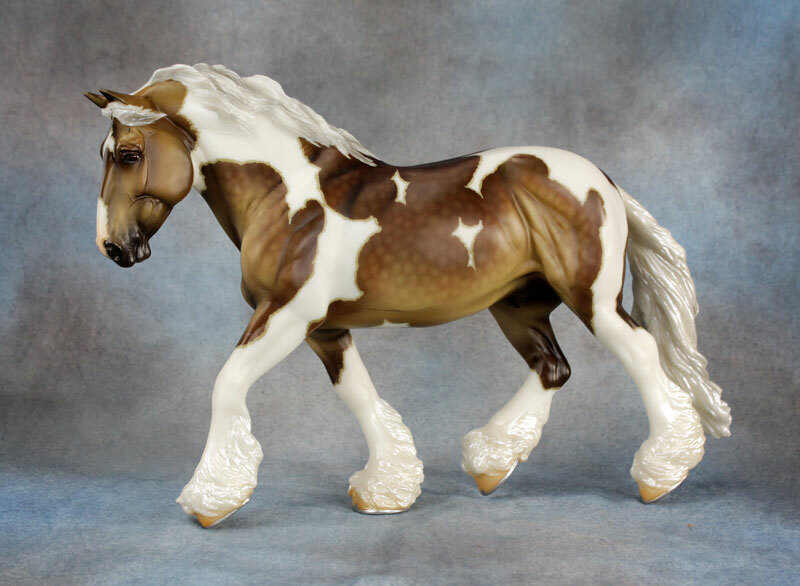 The first model is Woodford, the new Shire Gelding mold sculpted by Karen Gerhardt in a beautiful silver dapple pinto. 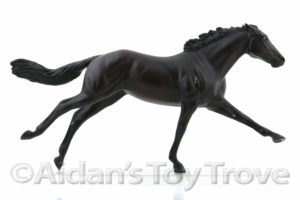 Here is what the BreyerFest Blog had to say about Woodford and Jackpot. 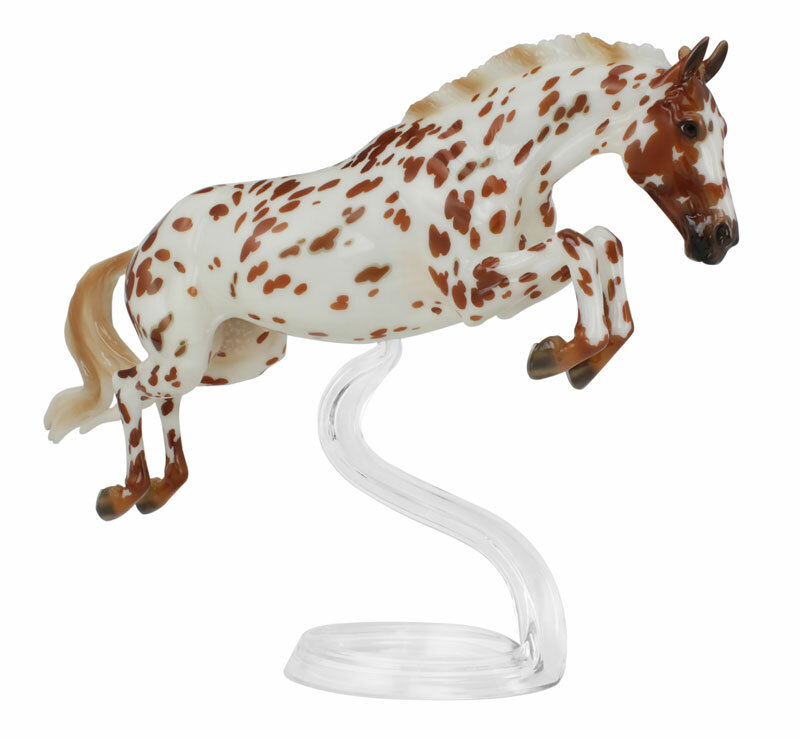 Over the last 28 years of BreyerFest, we have raised over $1,100,000 for charity! 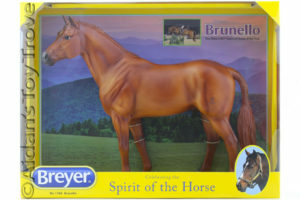 And it’s all thanks to our Breyer Fans! 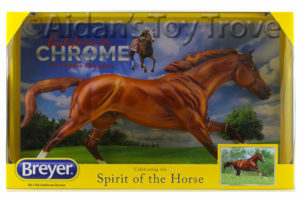 The contributions came from the money raised in the Silent Auction, Live Auction, and the Breyer Benefit Raffles. Last year alone, more than $85,000 was donated to a wide variety of causes close to our heart. As usual, we’re hoping for the biggest year ever. But we need your help! 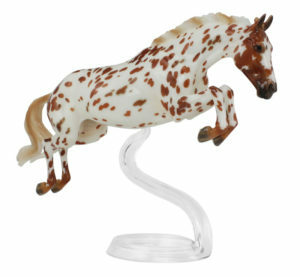 You’ve already met the Saturday and Sunday Benefit Raffles horses, Woodford and Jackpot. 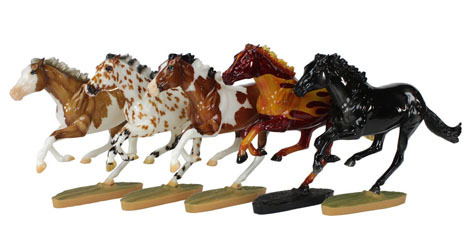 Each of the beautiful models is limited to 26 pieces (25 models for the Raffle and 1 model in the Live Auction). 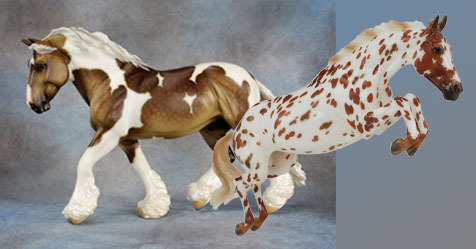 Our lucky winners will certainly be lucky to take home either of these handsome horses. Per Breyer’s website: Cloverleaf is a beautiful silver bay with three white socks on the Geronimo mold, #733. He will get to go home with our Open Show Grand Prize winners. 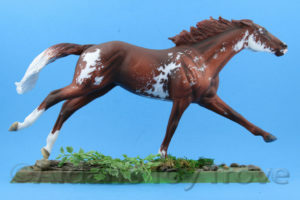 Per Breyer’s website: Hot to Trot is a grey tobiano pinto with a Havana halter and gold accents on the Pacer mold, #46, sculpted by Chris Hess. This lucky fella will get to go home with our Open Show Reserve Prize winners. 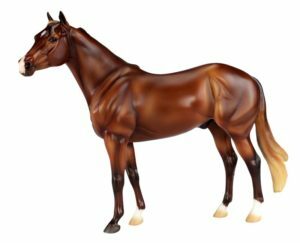 The BreyerFest Open Show Sectional Grand Champion prize model is a Glossy Brunello. 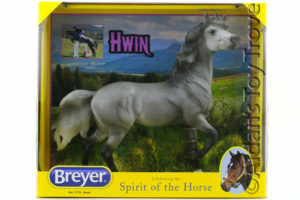 The BreyerFest Open Show Sectional Reserve Champion prize model is a Glossy Hwin. 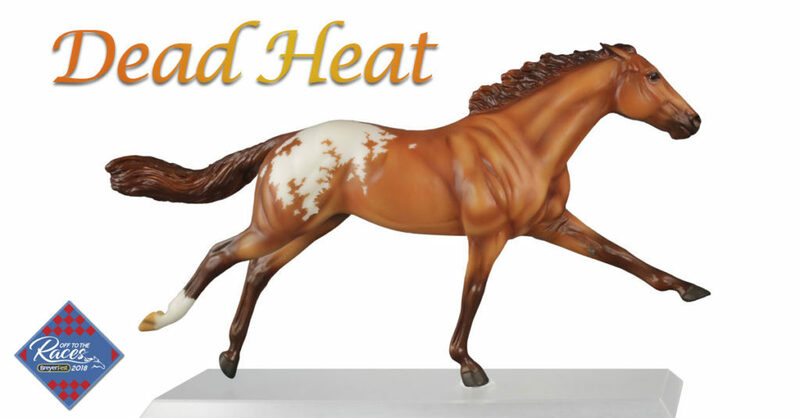 Dead Heat appears to have the longer tail unlilke the shortened tail of the Breyer 1757 American Pharoah. 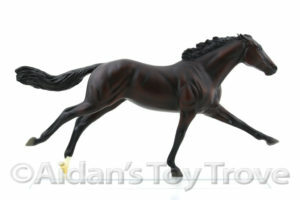 Prior releases on the Ruffian mold also had the longer tail. 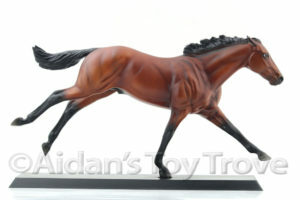 American Pharoah was the first on the mold to have the shortened tail. 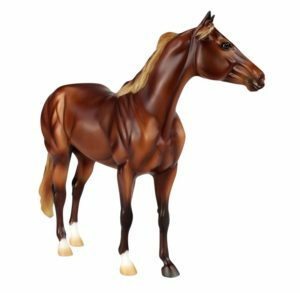 Keep an eye on the BreyerFest blog as we continue the countdown to BreyerFest with a lot more models!